Have You Considered Ductless Heating? | Think Green HVAC! It goes without saying that the saying “Less is more” is quite applicable to your energy bill. Saving on your energy bill doesn’t just mean more money for you, but also a better outcome for the environment. 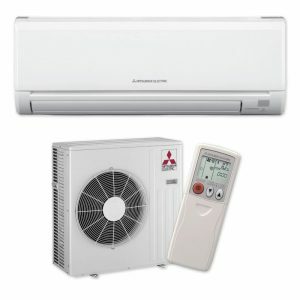 Professionals who install ductless heaters in Philadelphia may have the perfect option for you. While it may seem like a big step to take before the savings set in, integrating a ductless heating system system is really not that difficult. By taking advantage of utility incentives and the expertise of heating professionals, you’ll be on your way towards reaping the benefits of a smaller energy bill in no time. Ductless heating has major advantages over traditional heating systems (such as furnaces and boilers) by making ducts unnecessary. In systems where ducts feature a prominent role, you can lose a lot of heat through various leaks and poor conduction. In addition, you get less control over where the heat goes. When you opt for ductless heating in Philadelphia, you can reasonably expect to save up to 50 percent on your heating costs every month. Since the average homeowner pays about $875 for heating each month, that adds up to quite a lot of extra cash. When you install a ductless system, you will be able to have several thermostats that each control a specific locations. Gone will be the days when a single thermostat sets the temperature for the entire house even though you NEVER need your basement to be a balmy 72 degrees! This is one of the main ways that mini split systems in Philadelphia will keep you from using unnecessary heat. Ductless heaters in Philadelphia may be the solution to the angst that your energy bill is currently causing you. If you have an old furnace or a boiler, it may be time to replace it with an energy-saving, efficient system! For more information on ductless heating in Philadelphia , read no further and dial 215-333-9700 and our professional and courteous staff will help you right away! No job is too big or too small for our heater installation technicians. Why choose GREEN? We are fully insured for your peace of mind. We ALWAYS provide upfront pricing to keep our customers happy and make sure the job is done right the first time. 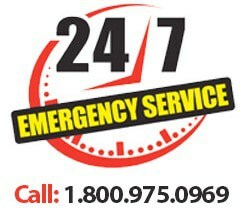 And as always offer 24/7 emergency heater repair in Philadelphia, PA and surrounding. Honest. Reliable. Affordable. Choose GREEN for all your ductless heating needs.